The rationale given by Imran Khan and PTI’s senior leadership is that changing your stance is acceptable as long as the end justifies the means. This statement has not only created a lot of backlash from the opposition, but has also led to hilarious memes and jokes on social media. As expected, the Pakistan Tehreek-e-Insaf (PTI) leadership is going out of its way to explain the “real” meaning of their leader’s latest verbal gaffe, with President Arif Alvi stating he has taken U-turns every step of the way. Needless to say, the army of PTI supporters is once again doing what it has always done: indulging in an invective-laced defence of their leader. "U Turn" is Evaluation. It is Assessment, Rating, Estimation, Ranking, Weighing up, Consideration, Analysis. Proper evaluation of results (whether to take a U Turn or not) is crucial. There is a huge difference between "A U Turn" and "A Blatant Lie"
While dictators find it difficult to do course correction, leading their countries into disaster, democratic leaders have ability to do timely course correction when needed! Historic ex is Churchill & UK's total reversal of Chamberlain's appeasement policy towards Nazi Germany! His sentiments were echoed by the PTI as they gave the example of Jeff Bezos, the founder of Amazon, to justify Imran’s U-turns. To be honest, no politician I know has remained steadfast on each and every promise they made in the past. This includes towering figures like President Barack Obama, who broke several of his campaign promises. In India, Narendra Modi’s government has done the same. There is always a difference between campaigning and actual governance, as the latter is often dictated by several constraints. As someone who has worked in a public sector institution, I fully understand the several conflicting considerations faced by policymakers. So yes, to be honest, literally everyone changes their stance in politics. So are critics being unfair to Imran and his party? Before we answer that, let’s assess a list of Imran’s U-turns. 1. Imran claimed he would never go for the so-called electables as his party was ‘different’. But he went on to give a large number of tickets to them, making these electables one of the main reasons for his party’s vote surge in the 2018 Elections. 2. Politicians such as Sheikh Rasheed and Pervaiz Elahi were labelled robbers and thieves by Imran in the past. At the moment, both are coalition partners holding important portfolios in the PTI government. 3. Before the Supreme Court (SC) verdict against Jahangir Tareen, Imran made tall claims of kicking him out of the party if proven guilty. However, despite Tareen being disqualified by the highest court, he continues to attend cabinet meetings and wields a lot of power in both, party and governmental affairs. 4. Imran also assured the people he would never go to the International Monetary Fund (IMF) if elected, and went to the extent of saying he would prefer to commit suicide instead. Likewise, he also criticised the Pakistan Muslim League-Nawaz (PML-N) government for asking Saudi Arabia for money. And yet despite such hard rhetoric, Imran’s government has not only gone to the IMF for a bailout package, but has also sought $6 billion from Saudi Arabia’s on undisclosed terms, among other countries. 5. Imran constantly spoke out against nepotism in the past, but some of the appointments in his cabinet reek of nepotism, which even forced the SC to take notice. 6. After becoming the premier, Imran took two major U-turns on issues of minority rights, despite showing bravado initially. First was the case of appointing Atif Mian to the Economic Advisory Council (EAC), in which the government promised to stand firm in response to the immediate backlash. However, it then quickly crumbled under pressure and withdrew Mian’s name. In the second case, once protests began immediately after the Aasia Bibi verdict, Imran addressed the nation and condemned the Tehreek-e-Labbaik Pakistan (TLP) in unequivocal terms, promising strict action if they tried to collide with the state. After the statement that won over many critics, including me, he went on to China while the country burned in his absence for three days, with no effort taken by the state to establish its writ. After three days, the government virtually capitulated and entered into an agreement with the TLP. I can go on and on, but am unfortunately constrained by space. So how do we realistically judge Imran here? Is he in line with the rest? Or is there something “extra special” which makes him an outlier? Frankly, some of the U-turns can be defended as normal political behaviour. Calling Elahi and Rasheed corrupt and then allying with them is not a big deal. In fact, the Pakistan Peoples Party (PPP) and the PML-N have done worse, as the PPP suggested the Q in Pakistan Muslim League-Quaid stood for qatil (murderers), and then forged an alliance with them. PML-N also has a long history of forming such alliances. Likewise, Imran can be forgiven for bringing in electables as well. You cannot change anything without them, as they wield a lot of influence in their constituencies and our rural politics is based on patronage. To get the numbers, you must give them tickets. However, problems start emerging in all other areas. The first major problem is the way Imran and his impressionable followers tried to market their party. 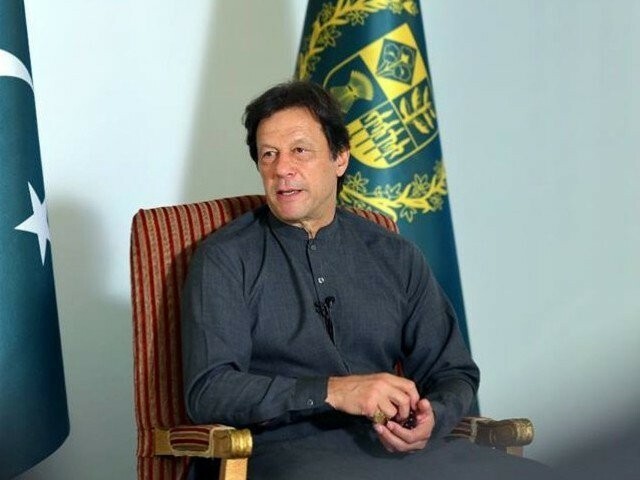 For years, Imran has portrayed himself as “steadfast”, advising others to “never compromise”, and the slogan “Naya Pakistan” is supposed to embody that difference. Imran has ridiculed people who compromise and has consistently called himself an idealist. But when you are yourself willing to compromise after this, then frankly some of the U-turns are hard to swallow, especially when your main selling point is that you are different! Context is important here, and with Imran we have consistently seen that U-turns are not the exception but the norm. The sheer frequency alone is mind-boggling. Secondly, we should also consider the grounds on which some of the U-turns have been taken. Islamist parties learning to compromise is progressive and shows evolution. German parties of different orientation coming together to thwart the extreme right-wing is laudable. However, I am not sure that taking a U-turn on Mian’s appointment is anywhere close to that; it merely showed a pathetic lack of resolve. The worst, of course, was backtracking on Aasia. With that surrender, Imran basically proved that the Pakistani state should not and cannot be taken seriously. It has set a precedent that literally any zealot can gather a few thousand men and force a government into accepting objectionable terms. PTI’s U-turns are thus not progressive in nature – they are merely acts of petty opportunism. Not only that, Imran’s party is spinning the term ‘U-turns’ by using Bezos’ example. The very fact that running a business and a country are vastly different things escapes the imagination of this party. Yes, businesses change their strategies, but changing one’s strategy is very different from outright lying to the public. The analogy would be correct if Bezos deliberately misguided customers and then justified it. Clearly Bezos did not mean what PTI is trying to imply. When leaders take U-turns, even on trivial issues, they create a trust deficit in the government. What Imran is doing is not “corporate strategy” or “revisiting original stances for progress”; it is mere cowardice. Lastly, Imran is taking explicit pride in these U-turns. While we all compromise, glamorising these steps is not right, particularly when you have impressionable “educated” supporters. Right now, these so-called “educated” supporters are at the forefront of defending Imran’s latest nonsense. It’s indeed a sad sight, as they are defending what cannot be defended. I pity my friends who are giving spins to Imran’s backtracking, for I seriously think education should enable us to be critical and reflective. When you start justifying nonsense as “adaptability” or “corporate strategy”, it merely shows you have lost your ability to think critically. The irony is that these individuals show an extremely derogative attitude towards supporters of other parties by calling them as Jahil Jiyalas or Patwaris. When the educated start defending what cannot be defended, I fear for the long-term future of this country. Do you think taking U-turns is a hallmark of true leadership? No matter how much Imran tries to woo the religious lot, unfortunately, it is backfiring on him. I can see the common narrative by reading comments on YouTube and other platforms how his religious stance failed terribly to please the religious majority. It is a pity how common people have totally turned against him, going to such lengths as calling him a “yahoodi agent”. Had he stuck to the right thing, like a leader, none of these people would’ve had the audacity to concoct conspiracy theories about not only him, but his part members as well. Being a sane person,there is a limit to which you can stoop in pleasing the whims of these animalistic mullahs and their followers. When that limit is crossed and you can stoop no more ( Mian and Aasia’s case), you are doomed to face the calumny by the same people who you tried to please. This is the consequence of choosing the wrong side to please. supporter of Imran Khan and even came all the way from America for his Lahore rally ( correct me if I’m wrong ) ……. and now you spit fire and brimstone at Khan and his PTI …. U turn ? No I never came from USA to attend his rallies. Though I regret that I was once a supporter. The word U turn as I mention in the blog also has a context. please read it. Moreover, I have actually written that some of his so called U turns are normal and forgivable also. I had been saying this even from before IK was elected. IK will bring about devastating consequences to Pakistan just like Z A Bhutto. Remember, it was Bhutto was instrumental in the cause of 1971 war by denying Mujibur his legitimate constitutional rights. Most people don’t know this. I urge you all to read books written by Mujibur, Tikka Khan and Bhutto himself. IK is a turncoat of Grade A. If you look at his lifestyle and his public persona of a devout muslim, it speaks volumes about how bigoted, two-faced this man is. Remember, he has been accused by many of starting the culture of cheating in Pakistani cricket. This man knows nothing about administration. Remember 35 punctures? 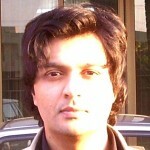 A bunch of lies were turned into a movement by this man against Sethi. In the end he said it was just political. Such unfathomable bigotry! sterry, it’s the same tired mantra, again and again and again. Nothing but gibberish. Same old rant under a different patched cloak, each time. did with his looting and plunder is only comparable to Robert Mugabe. It was just a matter of time when he would have been declared ‘PM for Life’. Your explanation is good and I do understand your point of view on political U turns…..but when I read your blogs on Imran and the PTI ( I too am no BIG fan of theirs but until another option comes along we have to make do with them ) I get the distinct impression of, how shall I put it, immaturity for want of a better expression.